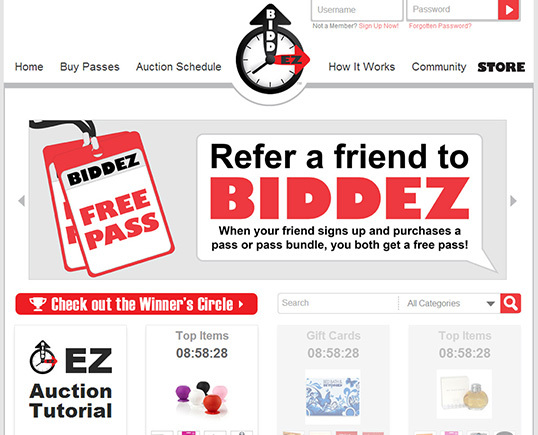 Auctions at Biddez are different in that you bid the price down instead of up. As more people participate and more bids are placed, the auction price goes down. Biddez will even pay the winner if the price goes negative. 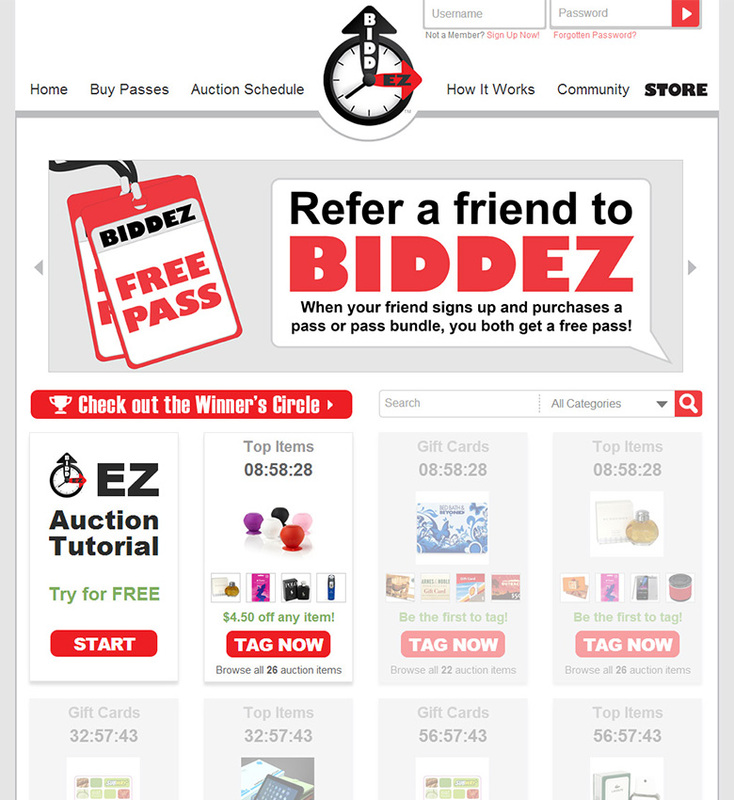 There is also the Biddez Store – where your used bids are converted into direct discounts on the very same items that appear in the auctions.